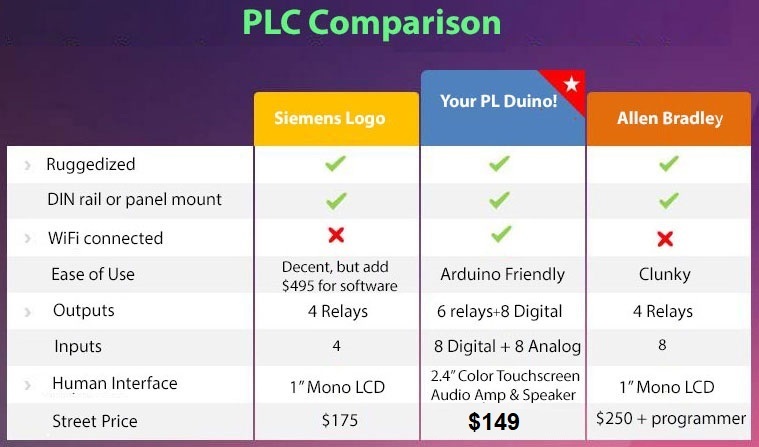 Open Source PLC - 15 Day Free Trial! - Ships Overnight! Home automation. Industrial control. Robotics. SCADA. You name it. Get Arduino simplicity with US reliability. No shields. No mess. No sweat. Fully open source. • Six fused DPST power relay. Peek inside at the hardware. Check the quickstart. Read the specs. Better yet, call (408) 330-5599 or order online. We'll rush yours for a 15 day free trial. Easy to program. Rugged and reliable. Now in volume production. Ships now. Be up and running tomorrow. Do it with no shields and no mess. All the I/O you'll need. And it's all protected. Reliable. US design and quality. Now used to improve HVAC efficiency. What can it do for you? New! Pre-wired IoT Power Relay Connects directly to any PLC or micro. Need web control without programming? Remotely control, reboot, or sequence power. Simple web interface. Related links: IP controlled DIN relay. 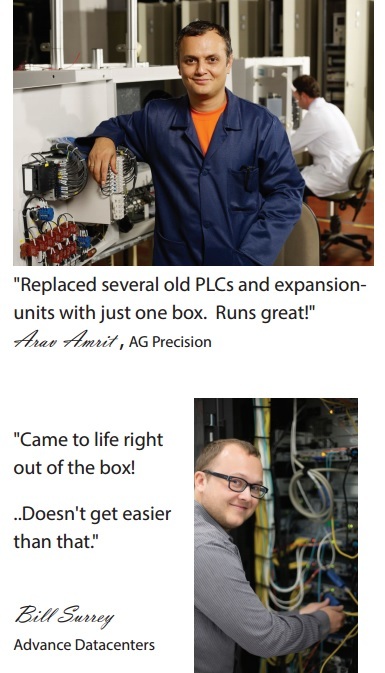 Power supplies and contactors. Corded relays.